Moms and dads across the US have been eagerly waiting for an efficient plug-in hybrid that could haul big families and gear. Aside from the $80,000+ Tesla Model X, there weren’t any plug-in vehicles that could haul around larger families with room for 7 and all the trimmings. Because of that, the Chrysler Pacifica Plug-In Hybrid minivan has been a highly anticipated vehicle since it was first announced in January 2016. It has been watched very closely by eco moms and sustaina-dads alike. That anticipation was only compounded by delays in getting the vehicle to market and rumors of battery issues that plagued early production vehicles. Early delays in getting the vehicle into dealerships seem to have been resolved, with Pacifica Plug-In Hybrids popping up all around Southern California and beyond. With all the excitement upfront in anticipation of its launch, we were excited at the opportunity to get our hands on a Pacifica Plug in Hybrid and run it through the paces to see how it fared in the real world. At first glance, the Chrysler Pacifica Plug-In Hybrid (PHEV) looks like any other Pacifica and very similar to other popular minivans today. It is a large vehicle that understandably took up more room in our garage than our Tesla Model S and came with a significantly larger vertical footprint to boot. That extra mass edges the vehicle up over the 5,000 pound mark to a massive 5,125 pound curb weight. That extra mass buys you the equivalent of a tiny house on wheels that could serve to replace the living rooms of most families, entertainment included. Getting behind the wheel of the Pacifica PHEV reveals a snubby nose that is surprisingly manageable. Driving the Pacifica PHEV feels just like most cars but with elevated seating. It handles surprisingly well and is easier than you would expect to maneuver into normal parking spots. That said, don’t even think about trying to pull into spots labeled compact — it may drive like a much smaller car, but it is in reality a cavernous set of couches on wheels that eats parking spots for breakfast. Acceleration is on par with most minivans, so don’t expect to break any zero to sixty records or win any drag races in the Pacifica PHEV, even with the electrically bolstered powertrain. It ambles up to 60 miles per hour in a healthy 7.8 seconds (per Car and Driver), which is more than functional for most tasks. We tested the Chrysler Pacifica PHEV Platinum, which includes a slew of features that put the icing on the Pacifica — but at a steep cost. Adaptive Cruise Control allows drivers to engage dynamic cruise control that, after being set, will adjust the speed up and down with traffic. This is both a convenience and a safety feature, as it can and will bring the vehicle to a complete stop without driver intervention. As with any convenience features, it still requires full presence of mind from a driver, but it makes stop-and-go driving on the highway much more tolerable. The adaptive cruise control is complemented by a full suite of active safety solutions, like Forward Collision Warning, which alerted us to one or two rapidly slowing vehicles in front of us; the automated parallel and perpendicular parking solution, Park Sense; and Blind Spot and Rear Cross Path Detection. These solutions are likely to be hit or miss with most customers. Park Sense will definitely take the strain out of parking for those who dread having to ease the larger-than-average rear end into tight parking spots, and the active safety features may just offer a little peace of mind for those who think about passenger safety. None of these features are strictly autonomous driving features, but they do speak to an intentional effort by FCA to help solve driving challenges with technology, a path that inevitably leads to autonomous driving — that’s clearly where the automotive industry as a whole seems to be headed. 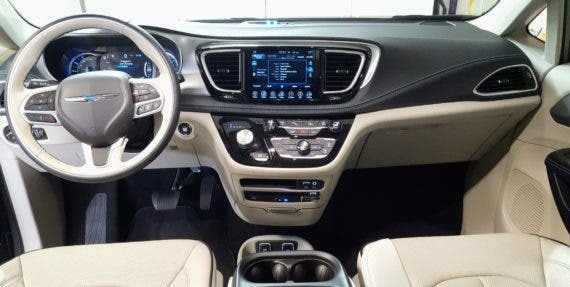 The Platinum version of the Pacifica includes a middle seat entertainment system that includes dual 10.1″ touchscreen monitors that flip down or up to entertain those in the rear seats. Though, it does seem like having only 2 screens would inevitably start fights with those dispatched to the rear seats. We have two kids and it worked perfectly for us, with the kids being much more eager to get into the car and hesitant to get out. Long trips to the grandparents were a breeze. Though, it did make the kids feel disconnected from the in-car family experience. As we only had the vehicle for 1 week, we let them enjoy the system and took in some much needed peace and quiet. The Chrysler Pacifica is the definition of the modern minivan. Chrysler was one of the first companies to bring a minivan to market and has dominated the space in the US ever since. The Pacifica represents the pinnacle achievement in minivan technology and design both inside and out. The dual sliding doors and rear liftgate are equipped with foot trigger locations that allow someone with full hands (and the keys in close proximity) to open the doors with a swipe of the foot under the sensor. I tried this on a whim while carrying quite a full load and was thankful that I did not have to drop what I was carrying to get in. This is a feature that will become a godsend for busy moms and dads herding cats car loads full of children while picking up groceries and running around town. Beyond that, it is what you would expect from a minivan. There is simply no hiding the fact that it is a large vehicle made for such purposes. But the styling makes the most of it. Stepping inside one of the five entrances to the Pacifica opens up a beautiful world. It truly is akin to the feeling one gets when stepping inside a thoughtfully curated tiny house, with new features and functionality carefully engineered into every nook and cranny. The main cockpit of the vehicle is absolutely packed to the brim with every control, knob, and app someone managing the chaos of the rear seats could need. There were so many options that I couldn’t help but wonder if one of the many apps or knobs would cause the sunroof to retract and eject my seat high into the sky. I was thankfully spared that experience but I’m still not certain the eject button doesn’t exist. The interior space of the vehicle is as you would expect for a vehicle of this stature — roomy. Our small family of four felt swallowed by the space, almost to the point where the rear of the car was an entirely different vehicle that we didn’t need. It is a large space. Folding up the 3rd row of seats to take the cousins for a ride, it was perfect. We had just enough room for everyone with plenty of room for all our gear. 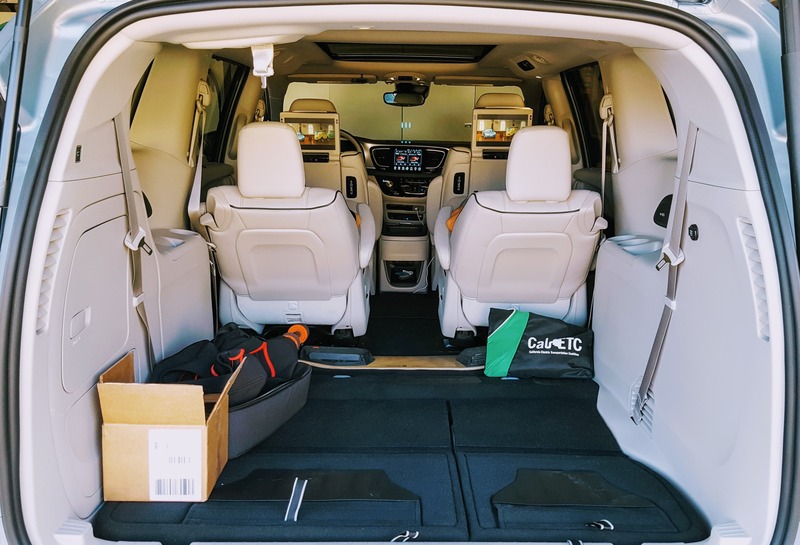 The Pacifica is extremely well suited for those with lots of people to move around, lots of gear, or large amounts of both. Feeling in control of the driver controls and passenger area of the vehicle after a few days, I was surprised and impressed to learn about the 110 volt AC outlet behind the 2nd row passenger seats. Combined with the USB port in the third row, I was able to charge up the Boosted Board I am currently testing out while on the road to a coffee shop, to the office, or on the way home. The true centerpiece of the interior of the vehicle is the 3 pane panoramic glass roof. Drawing back the shades on the masterpiece reveals so much sky that it feels like the car is flying through the sky instead of under it, through a forest, or through the mountains, depending on where you’re driving. Okay, sometimes it just felt like I was sitting in traffic with a single outlet into sanity through those panes of glass, but it was really nice on the few occasions I was able to glide through tree-shaded canyons with the shades pulled back. The primary infotainment console is feature packed and technology enabled, with numerous ways to pull up and display entertainment options for the front and rear seats as well as my favorite — the hybrid system’s information screen. This beauty includes the kW of power going to or coming from each part of the system: the internal combustion engine, the electric motor, and the primary traction battery. It displays at a glance what the powertrain is doing and why. The system packs more connectivity and technology than most will know what to do with, including a new addition for 2018: Apple Airplay and Android Auto. Rest assured that the technophiles in the family, wherever they end up sitting, will not be disappointed with the Pacifica PHEV. The Chrysler Pacifica Plug-In Hybrid can officially drive up to 33 miles on the battery alone before cutting over to the more conventional hybrid-electric mode, where it achieved an average of 34 miles per gallon in our extensive testing around town and on the freeway. On paper, that translates into an awkwardly summarized EPA rating of 84 MPGe. It’s awkward because MPGe cannot and does not translate to anything corresponding to fuel efficiency. It attempts to combine all-electric range with hybrid-electric efficiency while taking into account average commuting distances and the like. The reality is very different. It is completely possible to drive the Chrysler Pacifica Plug-In Hybrid for years without visiting a gas station. My wife’s daily commute of 24 miles fits neatly inside its 33 mile all-electric range and could be performed day in and day out without using gasoline. Conversely, some drivers might not plug the vehicle in at all and will realize a significantly lower efficiency. The EPA officially rates the vehicle at 32 MPG in gas mode, which is still very respectable for a vehicle of its size — that’s worth celebrating on its own. A look at the normal Pacifica reveals much more typical MPG ratings — 19 MPG in the city, 28 MPG highway, and 22 MPG combined — making the hybrid alternative a significant improvement in fuel efficiency without even touching the cord. The improvement in efficiency translates to an environmental footprint that is 31% lower than its gas-only evil twin. Okay, maybe it’s not evil, but you get the point. The Pacifica takes an approach to electrification that is very similar to the Prius Prime in that it starts out from the get go using the battery as much of the time as possible. Given its two robust electric motors and 16 kWh battery, that is a significant amount of the time. The first 30 miles of every drive I went on in this vehicle (over one week and >500 miles of driving) were electric. Not partially electric, not mostly electric, and not supplemented by the motor — but fully electric. That immediately turned the vast majority of my driving into electric vehicle, zero emission driving thanks to the solar panels on our roof. The Pacifica utilizes the J1772 EV charging port to ingest electrons and can do so from a 120 or 240 volt EVSE. 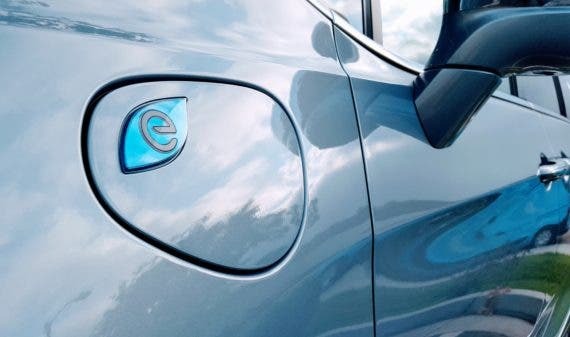 A 120 volt Level 1 EVSE, like the one that comes with the Pacifica PHEV, will recharge the battery in 14 hours, whereas a Level 2 EVSE on a 30-amp circuit will top it up in just 2 hours. I found this helpful when driving to nearby destination towns like Ojai, California, which is around 24 miles from my house. Recharging on the city EVSEs allowed me to complete the round trip without using any gasoline. The Pacifica isn’t just a feature-packed house on wheels for your entire family plus a few friends. It’s also a very safe vehicle, pulling down a 5-star overall crash safety rating. Having large crumple zones and Chrysler’s years of experience in building minivans is evident when it comes to safety. And the vehicle is not just a very safe minivan — it is the safest vehicle in its class. The active safety features discussed above take that rating to the next level. 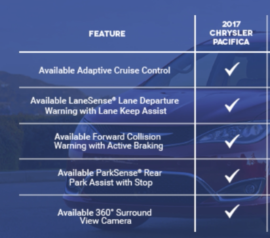 It would be nice if all of the active safety features were included in even the base model of the Pacifica lineup, as safety really should come first. 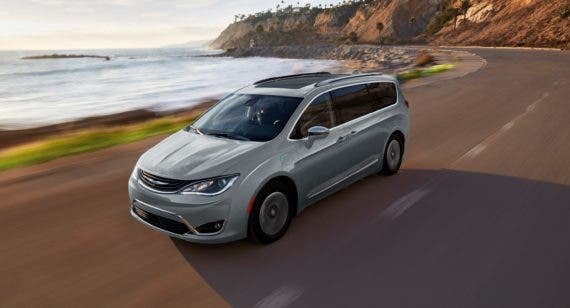 The Pacifica Hybrid is an expensive minivan, but when the sizeable rebates are taken into account and factored in along with the improved fuel efficiency of the electric and hybrid powertrains, it is one of the more affordable minivans on the market and one of the most feature packed. 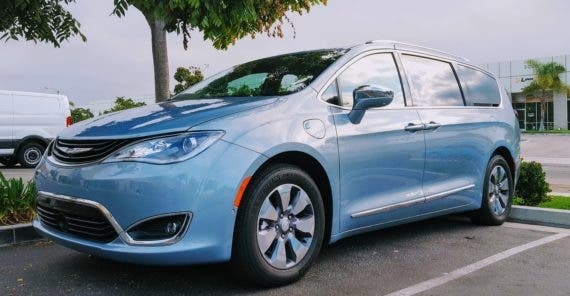 As a plug-in vehicle, the Chrysler Pacifica PHEV is eligible for the $7,500 US federal tax credit for ZEVs in addition to any state, city, air management district, and utility rebates available. 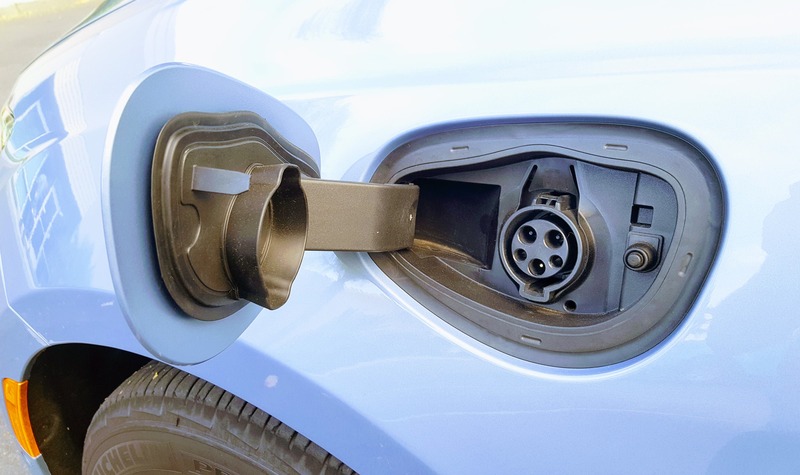 Plug In America has compiled a helpful list of rebates and other incentives for plug in vehicles according to location. Where I live in Southern California, the Pacifica PHEV is eligible for $9,000 in federal and state incentives plus a $450 rebate from our utility. Rebates and tax credits make the Pacifica PHEV one of the more affordable minivans to purchase without even taking the fuel efficiency savings into account, which makes it an obvious choice for many families looking to purchase a new minivan. 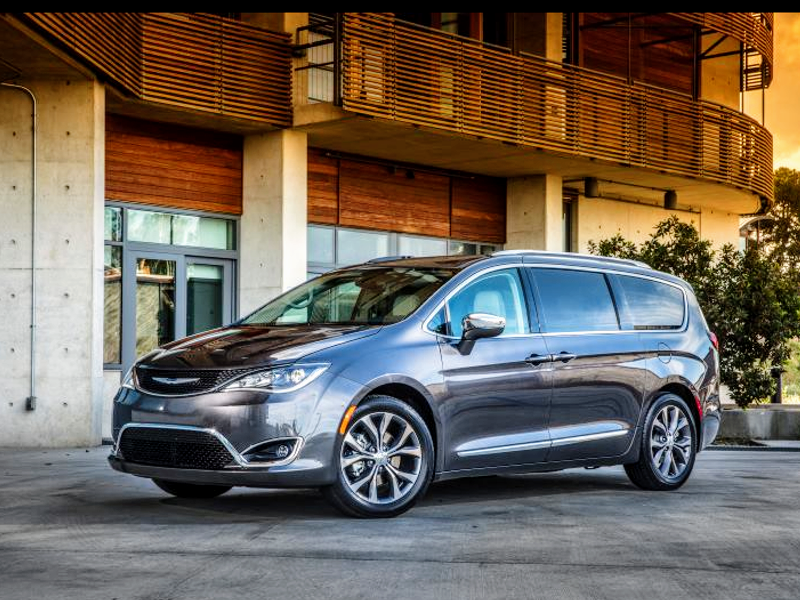 The Chrysler Pacifica Plug-In Hybrid minivan changes the paradigm for minivans. They are no longer slated to be gas-guzzling vehicles for the pragmatic few who are willing to buck the SUV trend for purely functional reasons, but rather, the new Pacifica PHEV redefines a family vehicle and does so with impressive powertrain features and fuel efficiency numbers. For those who need either the hauling capacity or the ability to transport up to 7 people, the Chrysler Pacifica PHEV is a great option — and the only option with such capacity for those who cannot afford Tesla’s extravagant prices for a Model X. (Yes, the Model S can technically move around 7, but it is a sub-optimized arrangement with the rear-facing seats in the trunk only suitable for smaller guests.) Even when compared with the Model X, the Pacifica is far and away more functional as a family vehicle thanks to all the gadgets and gizmos to support a large family. 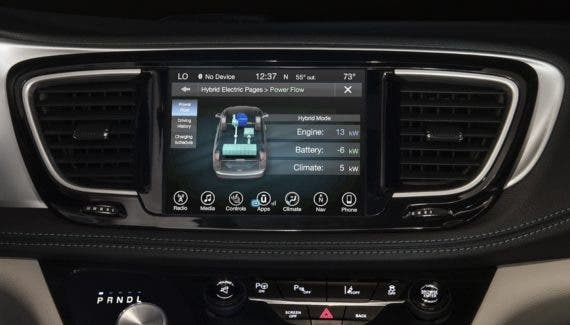 To learn more about the vehicle, head over to the official Chrysler website and compare it to other electric cars over on the CleanTechnica products page.